If there is a better way to kick off the season than publishing your opinion on all things Leafs then I haven’t found it. Tomorrow the Leafs will open against the Canadiens, which I wish they would only do when both teams are good. When one of the teams looks to be starting the season with the modest goal of “surprising people” I find it takes a little something off the old Leafs/Habs opening nighter. Still, and I’m sure I’m in the minority here, I look forward to that with more excitement than I do the Jays Playoffs on Thursday, and I’m a pretty big baseball fan. The Leafs have placed Richard Panik on waivers and claimed D Frank Corrado from the Canucks. While I thought Panik was a great waiver-wire steal last year and am somewhat surprised they’d expose him, Corrado is a right shooting defensemen with some pretty decent upside. As a one for one, it’s probably a good move. More on this tomorrow, as it pretty much just happened. And to a certain degree it’s true, because modern technology has created many more jobs covering sports than there used to be. But to an even more certain degree, it isn’t. When I started, I was ultra-critical of the guys covering the NHL, specifically the ones in Toronto. Once, Jeff O’Neil even gave it to me for openly criticizing the job he was doing – and he was right to do so. Guys like O’Neil, Simmons, and Cox are so easy to criticize because they’re so ubiquitous – but whether a blogger criticizes a mainstream writer, or someone on Twitter criticizes me, the fact is, people who have anything to say are easy to knock and people who don’t are usually boring. Whether you agree with him or not, O’Neil is always entertaining and hockey is supposed to be fun. On top of that, it’s impossible for me to disagree with someone on a character limit and not come across like I think they’re the world’s biggest idiot. I don’t (usually) think so, and so one thing I’m going to do this year is try to enjoy hockey like its just some kind of fun hobby, and I’m going to try to be less critical and more agreeable. As for the easy targets, I’m going to remember that something got then where they are (possibly a deal with Satan) (kidding) and I’d like to suggest you take your Simmons-induced rage and channel it at me. After being called a moron on daily basis for an entire year, I can’t imagine what a guy like Simmons has to deal with – for perfectly executing his job, by the way, whether you ever agree with him or not is irrelevant – so I say let those guys rest. My Mom’s basement is comfy and her meatloaf is excellent, so basically, I’m open to discussion and I won’t mind if you take your rage out on me, let’s have a good season. 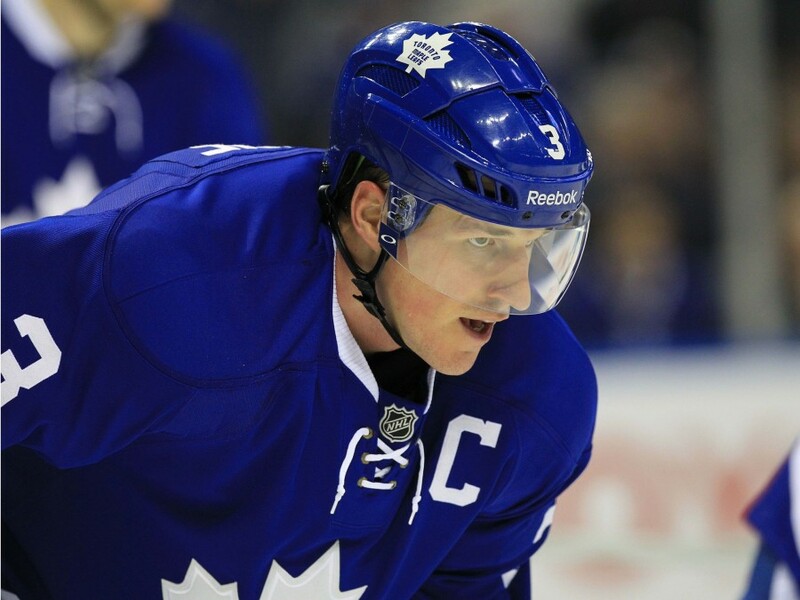 The Leafs are in a weird position with Phaneuf – you know the story: he’s captain, formerly the #1 defensemen, the coach says the right things but you feel like the team would totally trade him in a second if possible, he’s your favorite player and yet you feel like moving him would be good for the team in the long-run etc. – basically the whole situation is somewhat awkward. My thoughts are this: Babcock should try to shelter his minutes and use him in a mostly offensive role, see if he can’t get back to his early Calgary style. The Leafs have a surprisingly good defense (at least on paper before the games start) for this point in the rebuild. I say play him on the third pairing against weak competition and hope he hits 40 points and can be cashed in for a lottery ticket and the loss of his cap-hit. Mike Babcock choosing the Leafs is amazing. I haven’t been this pumped since we hired Brian Burke………..Oh _____! While it’s easy to lose track of what a big deal it is that the Leafs actually got Babcock when their roster is so bad, if you actually stop and think about it, it’s one of the best things to ever happen to the team in years. Actually you probably don’t want to think about that, nevermind. I am predicting an 82 point season. 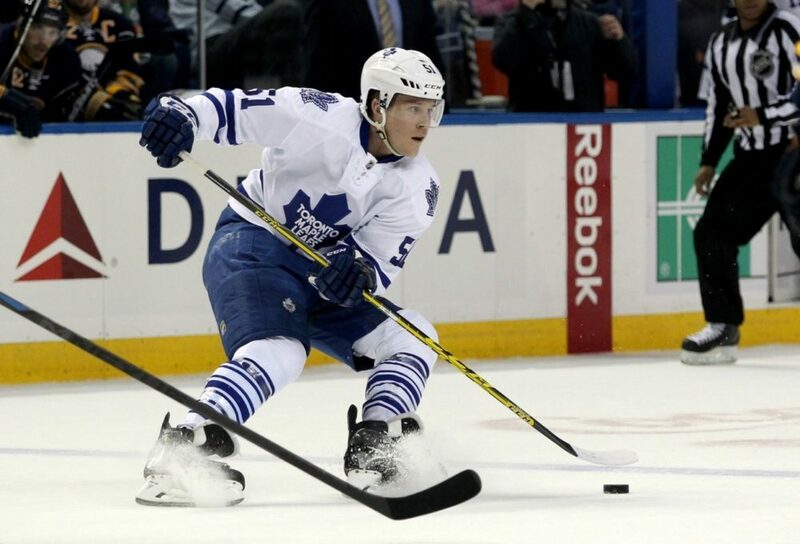 I’ll admit I am one of the impatient ones who was hoping we’d see Nylander this fall. When it comes down to it, I do want whats best for the team, but I also want to enjoy myself watching games when I have to watch a last place team. (I assume it will be every year at this point). Nylander will help with this. But so will trades and watching Gardiner and Rielly and Kadri and Harrington and Marincin and Percy. I guess I am pretty pumped about this season. The team doesn’t have any established stars, but they do have a ton of what should be good possession players to go with a mobile, (generally) fast, excellent puck-moving defense. I still like that the Leafs hired him. Until I see a them make a move that suggests he’s looking to win now and isn’t buying into the plan that Shanahan, Dubas and Hunter seem to be following, then I’m going to give him and Shanahan the benefit of the doubt. He seems like a guy I’d hate to work for, but maybe that’s what this team needs coming off a season that saw them lose with a casualness that was disheartening. Then again, maybe it only seemed that way, what do I know? What I do know is that Shanahan doesn’t seem like the kind of guy who’s going to ruin his own plans by hiring a different guy, so I don’t think the fact that Lamoriello can’t fire his coach, or didn’t hire him or whatever matters at all. Until I learn otherwise, I’m going to assume that Shanahan is the most like the traditional style of GM that the Leafs have, that Lamoriello is an adviser and that Dubas is the eventual successor. I’m pretty optimistic. Not in terms of standings, but in terms of where this is going. Hopefully the Leafs will find a way to move Bozak, Lupul, Komarov, Phaneuf and Polak, and hopefully they’ll convert JVR into a younger asset with a high ceiling. On the ice, I just hope it’s entertaining. I’m not going to cheer for them to lose, but I think a draft pick in the top three would be the best thing for them.